Maternal and newborn health are strongly linked. Infection is a recognized and prominent underlying cause of both maternal and newborn pathologies. Consequently, preventive strategies and many evidence-based interventions directed toward the mother can benefit both the mother and baby. Infection continues to account for a major proportion of maternal, fetal, and neonatal mortality and morbidity worldwide. About 40 % of maternal deaths result from infection while an additional 14.5 % of maternal deaths result from abortion, often with underlying sepsis causing death. Of the three major causes of neonatal deaths (infection, prematurity, intrapartum-related deaths), infection is responsible for 28 % and preterm birth complications are responsible for 14 %. Infection is both an underlying cause of preterm birth and a major cause of complications and death in mothers and babies. Meads C. Screening for asymptomatic bacteriuria in pregnancy: external review against programme appraisal criteria for the UK National Screening Committee (UK NSC). Version: 2: UK National Screening Committee. 2011. Available from: http://www.screening.nhs.uk/policydb_download.php?doc=169. Grabe M, Bartoletti R, Bjerklund-Johansen TE, Çek HM, Pickard RS, Tenke P, et al. Guidelines on urological infections: European Association of Urology. 2014. Available from: http://uroweb.org/wp-content/uploads/19-Urological-infections_LR.pdf. Smaill FM, Vazquez JC. Antibiotics for asymptomatic bacteriuria in pregnancy. Cochrane Database of Systematic Reviews 2007, Issue 2. Art. No. : CD000490. doi: 10.1002/14651858.CD000490.pub2. Royal College of Obstetricians and Gynaecologists. Green-top guideline no. 64b: bacterial sepsis following pregnancy. Royal College of Obstetricians and Gynaecologists, London: 2012. 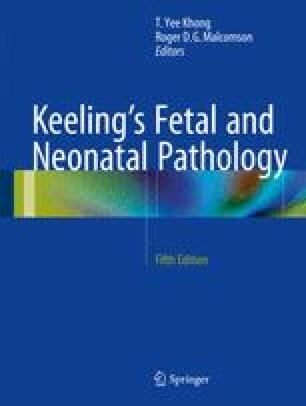 Available from: https://www.ranzcog.edu.au/doc/rcog-bacterial-sepsis-following-pregnancy.html. NSW Agency for Clinical Information. Adult sepsis pathway. 2011. Available from: http://www.cec.health.nsw.gov.au/__data/assets/pdf_file/0008/259415/adult-sepsis-pathway-for-emergency-departments.pdf. New South Wales Department of Health. Factsheet: Maternal sepsis (Puerperal fever) due to Group A Streptococcus – information for clinicians. 2012. Available from: http://www.health.nsw.gov.au/Infectious/factsheets/Pages/Maternal_sepsis.aspx. Queensland Health. Queensland Health Guidelines for Public Health Units: Invasive group A Streptococcal disease. 2012. Available from https://www.health.qld.gov.au/cdcg/index/igas.asp. U.S. Department of Agriculture Food Safety and Inspection Service. FSIS compliance guideline: controlling Listeria monocytogenes in post-lethality exposed ready-to-eat meat and poultry products. 2014. Available from: https://www.google.com.au/url?sa=t&rct=j&q=&esrc=s&source=web&cd=1&cad=rja&uact=8&ved=0CB0QFjAA&url=http%3A%2F%2Fwww.fsis.usda.gov%2Fwps%2Fwcm%2Fconnect%2Fd3373299-50e6-47d6-a577-e74a1e549fde%2FControlling_LM_RTE_Guideline_0912%3FMOD%3DAJPERES&ei=9GCKVYDIJ4jn8AWUypvwCg&usg=AFQjCNE-cn4JFlpvrEfHOV_eUEMfZMd1Qw. Centers for Disease Control and Prevention. Parasites – toxoplasmosis (Toxoplasma infection): resources for health professionals. 2014. Available from: http://www.cdc.gov/parasites/toxoplasmosis/health_professionals/index.html. Centers for Disease Control and Prevention. Malaria: biology. 2012. Available from: http://www.cdc.gov/malaria/about/biology/. World Health Organization. WHO policy brief for the implementation of intermittent preventive treatment of malaria in pregnancy using sulfadoxine-pyrimethamine (IPTp-SP). Geneva: World Health Organization; 2014. Available from: http://www.who.int/malaria/publications/atoz/iptp-sp-updated-policy-brief-24jan2014.pdf. van Beers-Tas MH, Heidema J. Review: Pathogenesis of Parvovirus Infections in Children. Virol Mycol 2013;2:110. doi: 10.4172/2161-0517.1000110. The Royal Hospital for Women. Clinical policies, procedures & guidelines: parvovirus B19 screening and management in pregnancy. 2014. Available from: http://www.seslhd.health.nsw.gov.au/rhw/manuals/documents/Antenatal_Pregnancy%20Care/Parvovirus%20B19%20Screening%20and%20Management%20in%20pregnancy.pdf. World Health Organization. Fact sheet number 367: rubella. 2014. Available from: http://www.who.int/mediacentre/factsheets/fs367/en/. King Edward Memorial Hospital. Clinical guidelines: 1.4.7 rubella in pregnancy. Perth; 2012. Government of Western Australia, Department of Health. Available from: http://kemh.health.wa.gov.au/development/manuals/O&G_guidelines/sectionb/1/b1.4.7.pdf. Centers for Disease Control and Prevention. Cytomegalovirus (CMV) and congenital CMV infection: congenital CMV infection trends and statistics. 2013. Available from: http://www.cdc.gov/cmv/trends-stats.html. Centers for Disease Control and Prevention. Cytomegalovirus (CMV) and congenital CMV infection: prevention. 2010. Available from: http://www.cdc.gov/cmv/prevention.html. Centers for Disease Control and Prevention. Cytomegalovirus (CMV) and congenital CMV infection: at-risk patients. 2010. Available from: http://www.cdc.gov/cmv/clinical/at-risk.html. Centers for Disease Control and Prevention. CDC fact sheet – genital herpes. 2013. Available from: http://www.cdc.gov/std/herpes/stdfact-herpes-detailed.htm.